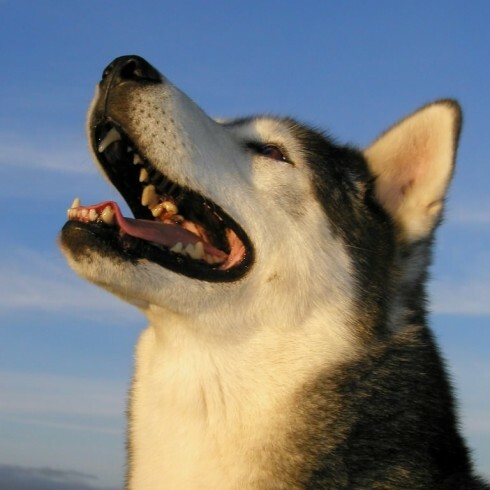 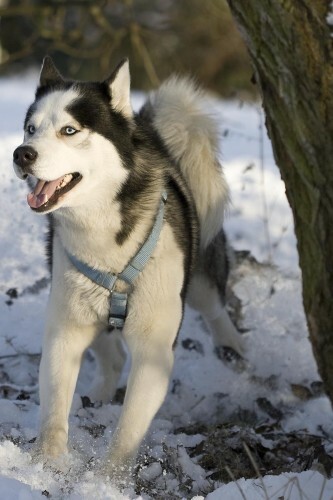 The Siberian Husky is an outgoing, fun-loving dog. 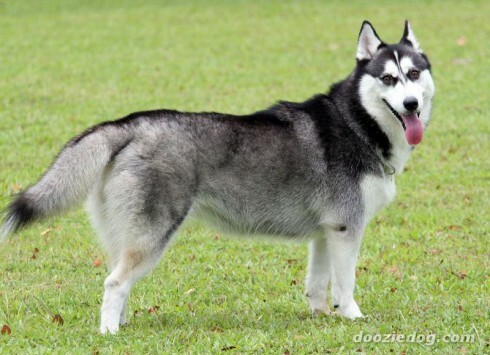 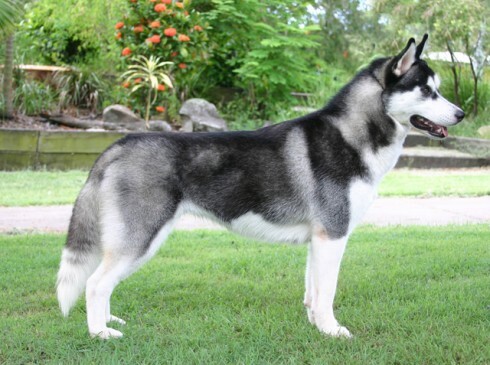 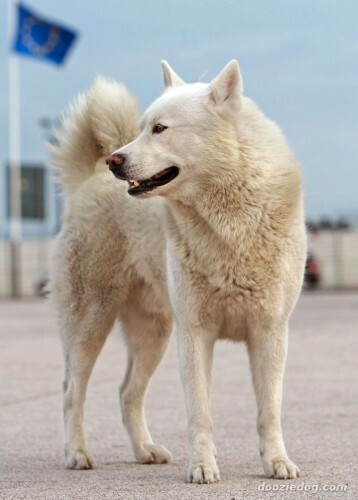 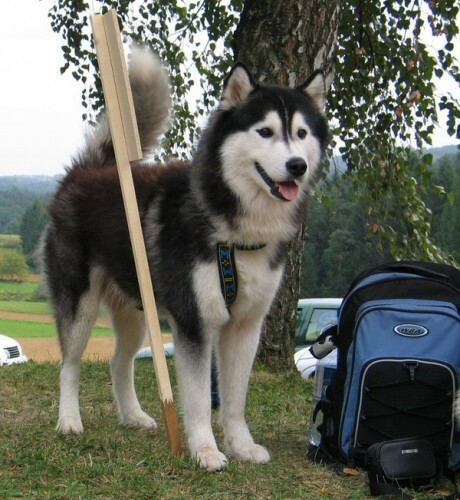 He is lighter in build than the Alaskan Malamute, and also less bold. 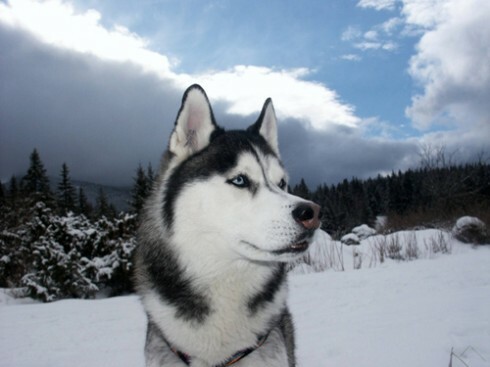 But he still requires an alert owner who stays in control, as the Siberian's nature is to roam and explore, as his Artic ancestors did. 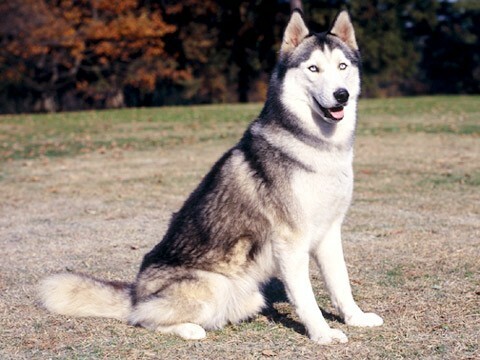 Native to Siberia, the Siberian Husky was brought to Alaska in 1909. 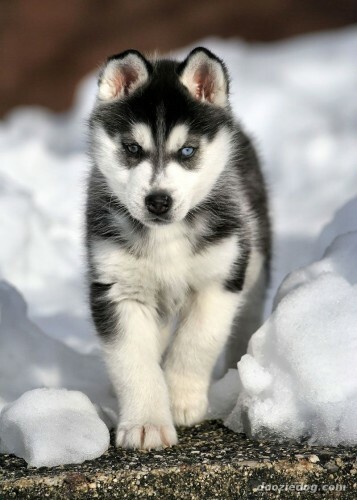 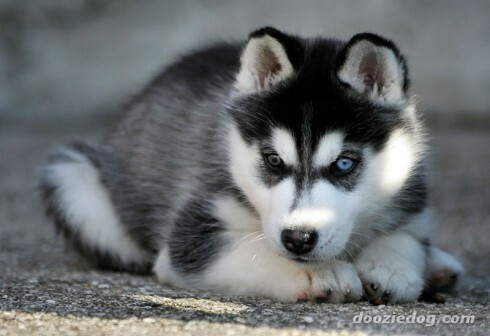 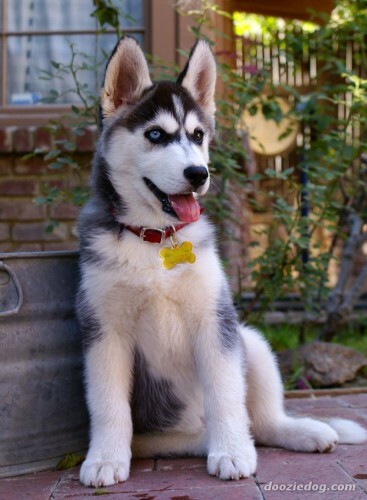 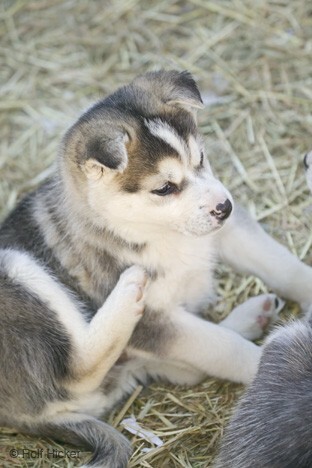 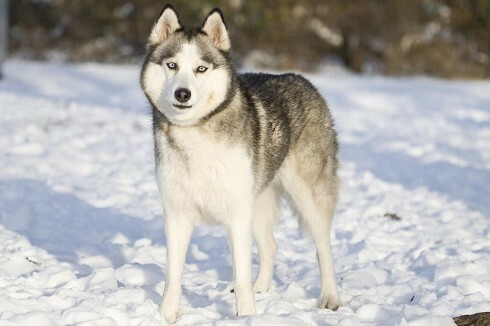 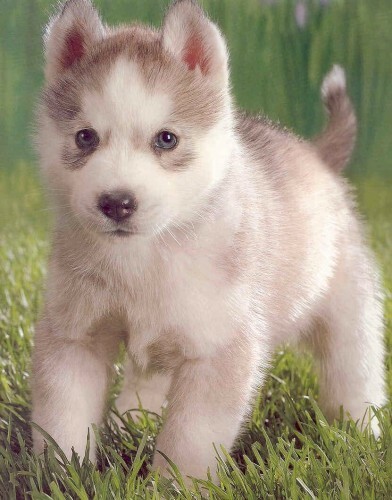 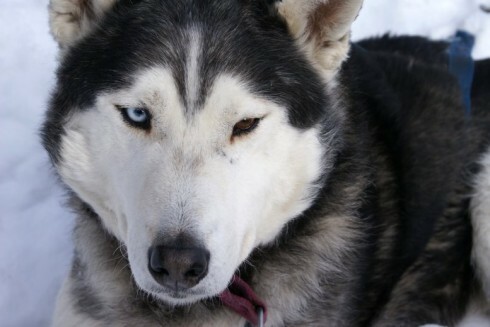 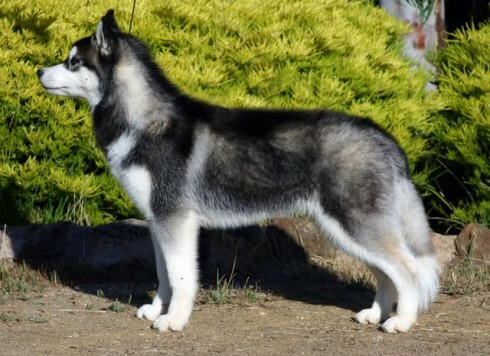 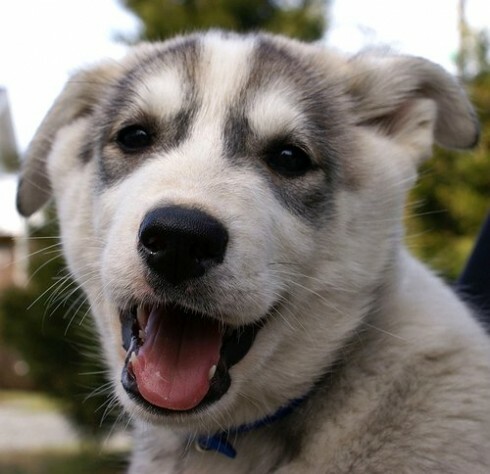 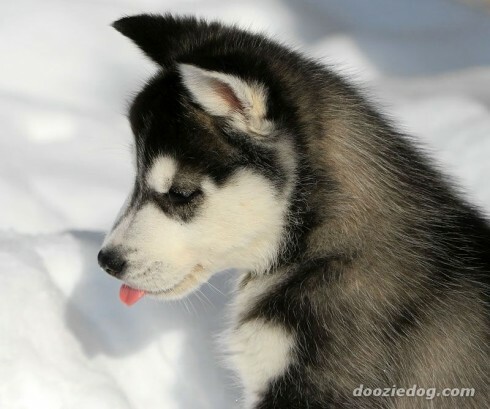 The Siberian Husky was originated by the Chukchi people of northeastern Asia as an endurance sled dog. 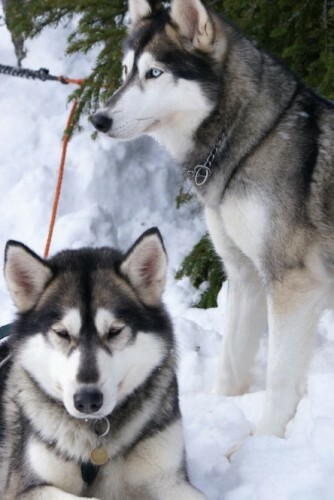 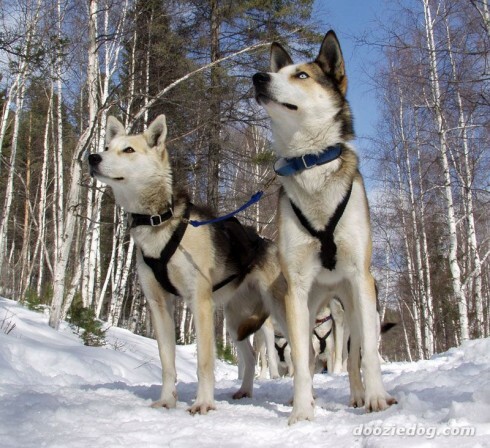 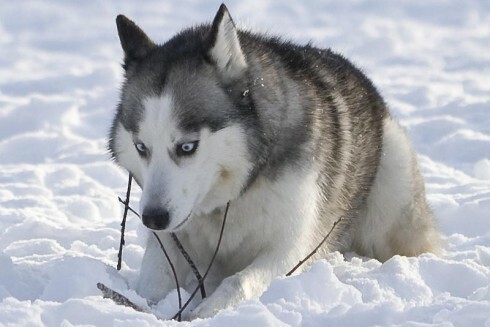 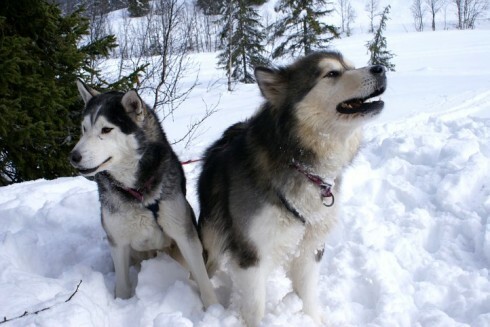 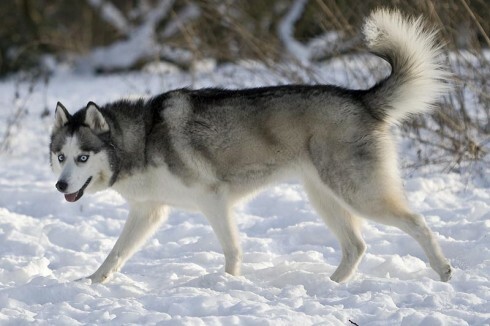 When changing conditions forced these semi-nomadic natives to expand their hunting grounds, they responded by developing a unique breed of sled dog, which met their special requirements and upon which their very survival depended. 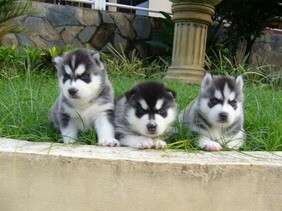 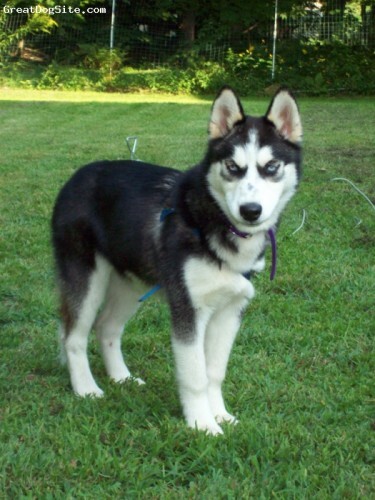 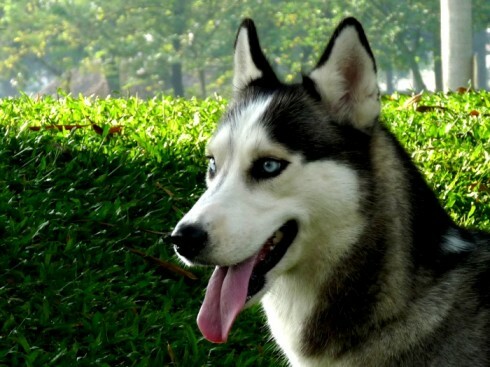 So you want to own a Siberian Husky? 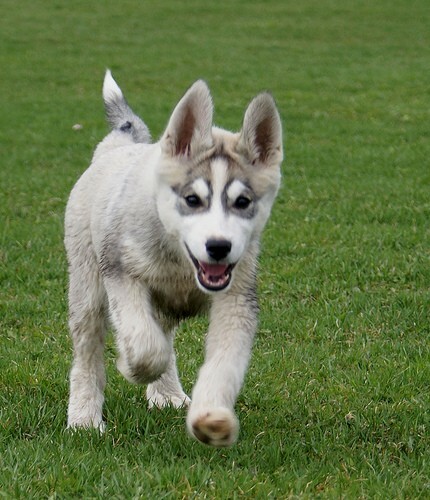 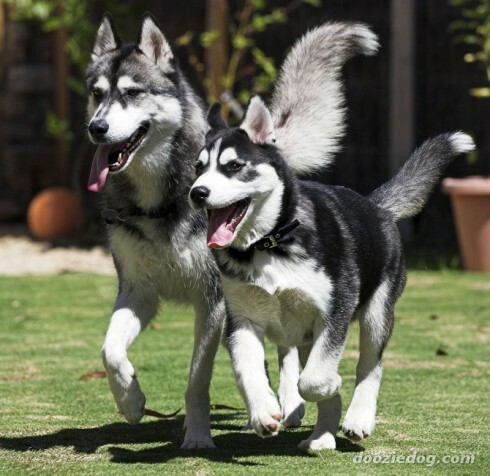 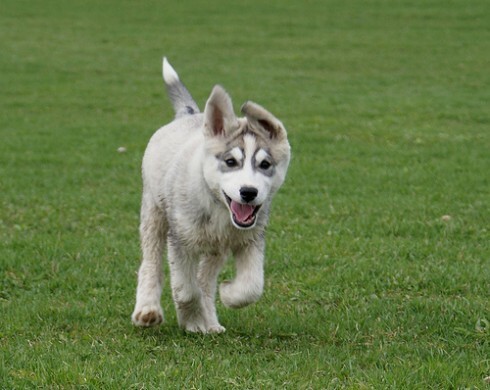 Siberian Huskies love to run and must be kept under control at all times. 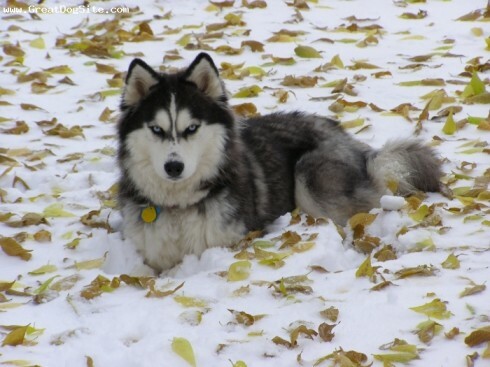 If you own a Siberian Husky it is of the utmost importance you have a fenced-in yard. 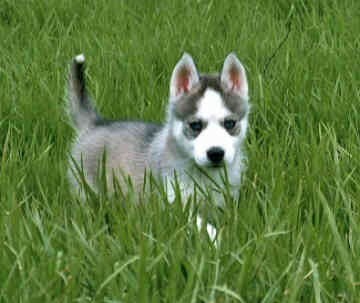 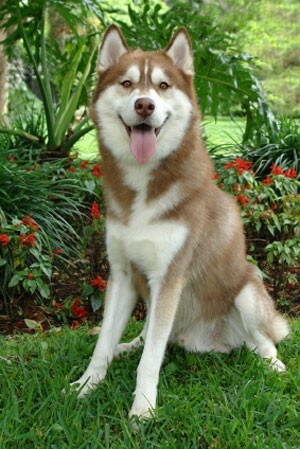 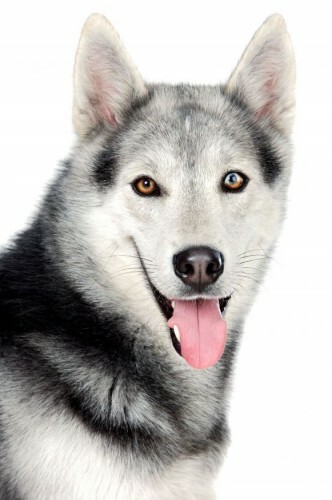 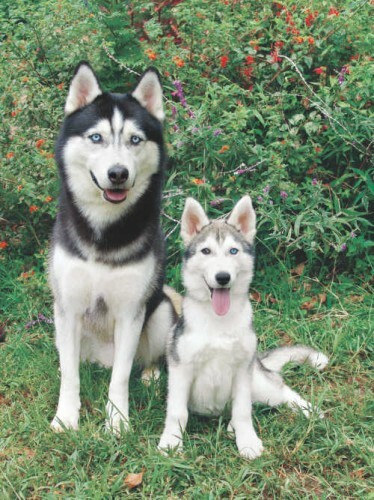 Siberian Huskies shed non-stop, if you have an aversion to dog hair think about getting a different breed. 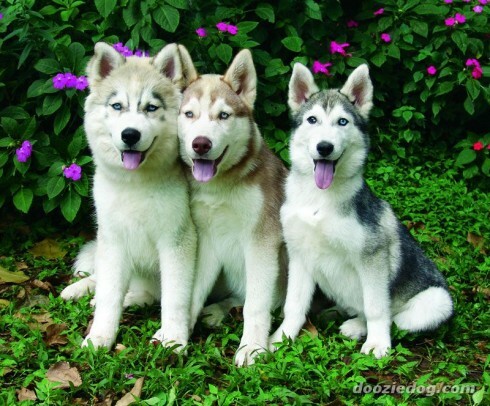 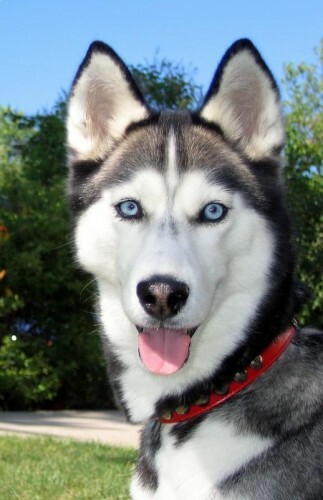 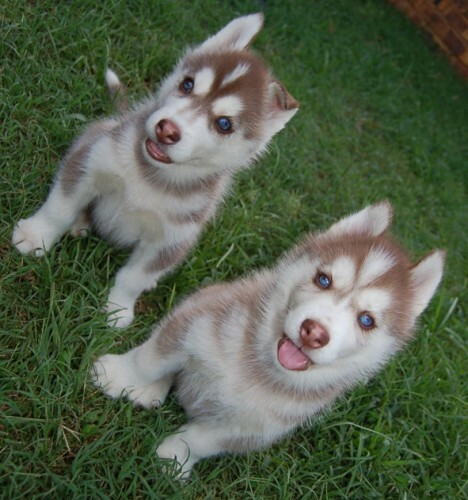 Siberian Huskies value company from people or other dogs. 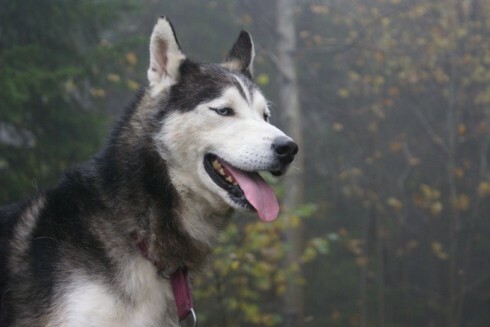 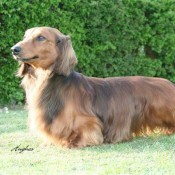 This friendly and gentle dog makes a wonderful companion. 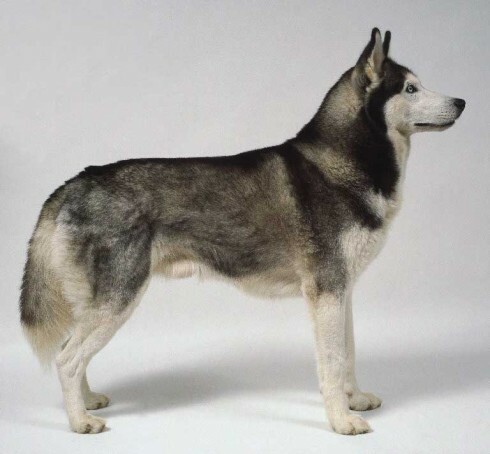 Viewed from rear, hindlegs moderately spaced and parallel. 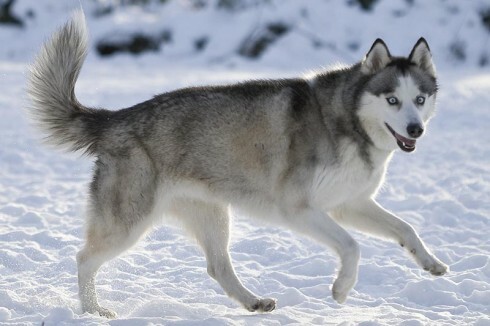 Upper thighs well muscled and powerful, stifles well bent, hock joint well defined and set low to ground. 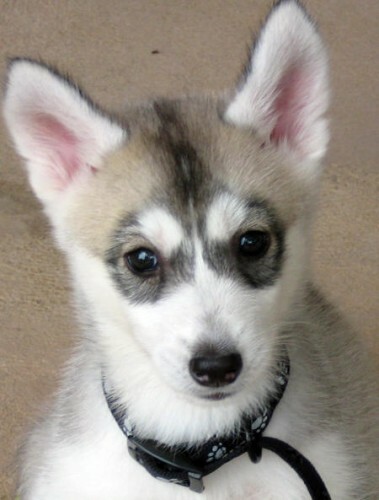 Dewclaws, if any, should be removed.